Let RockWare convert your old paper logs and maps into modern maps, sections, data and volume reports. RockWare uses tools such as RockWorks, LogPlot, ArcGIS and Google Earth to extract valuable information from old maps, logs and tables. RockWare’s modernization & data management tools. 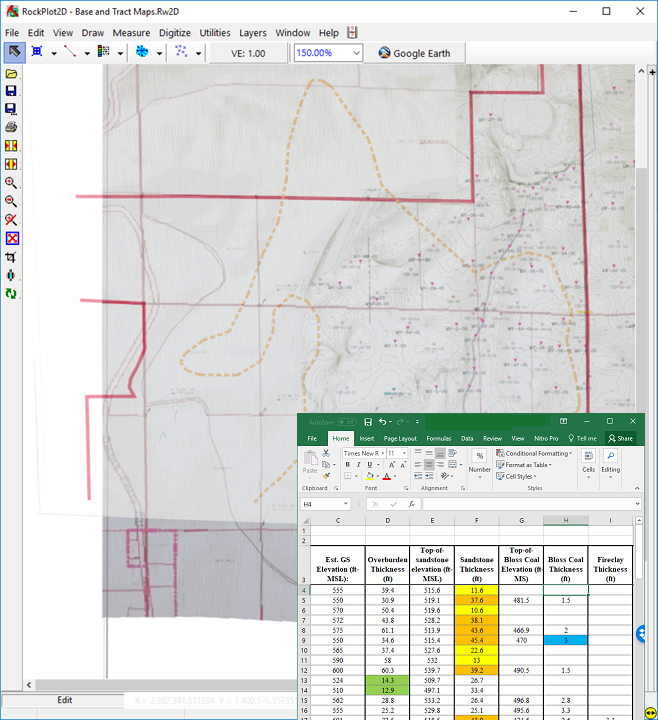 In the example below, RockWare converted scanned paper maps and tabulated stratigraphic data into a 3D stratigraphy model used to create sections, contour maps, 3D diagrams and volume reports. 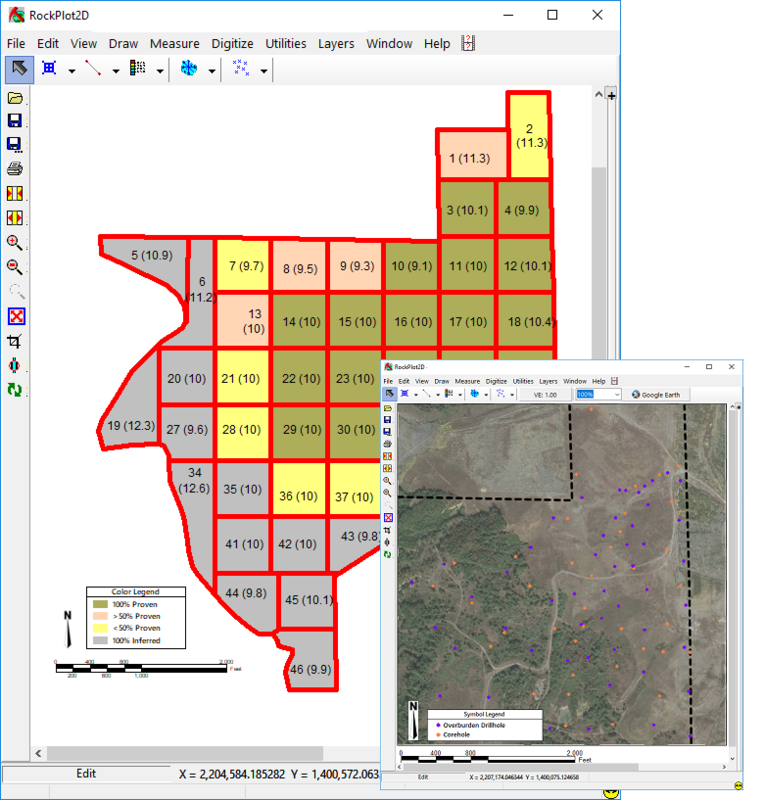 Property boundaries and borehole locations were extracted from scanned and georeferenced images. Elevation information for points outside of the areas closest to drillholes was extracted from publically available DEMs. Stratigraphic depths and thicknesses were stored in a RockWorks SQLite database. 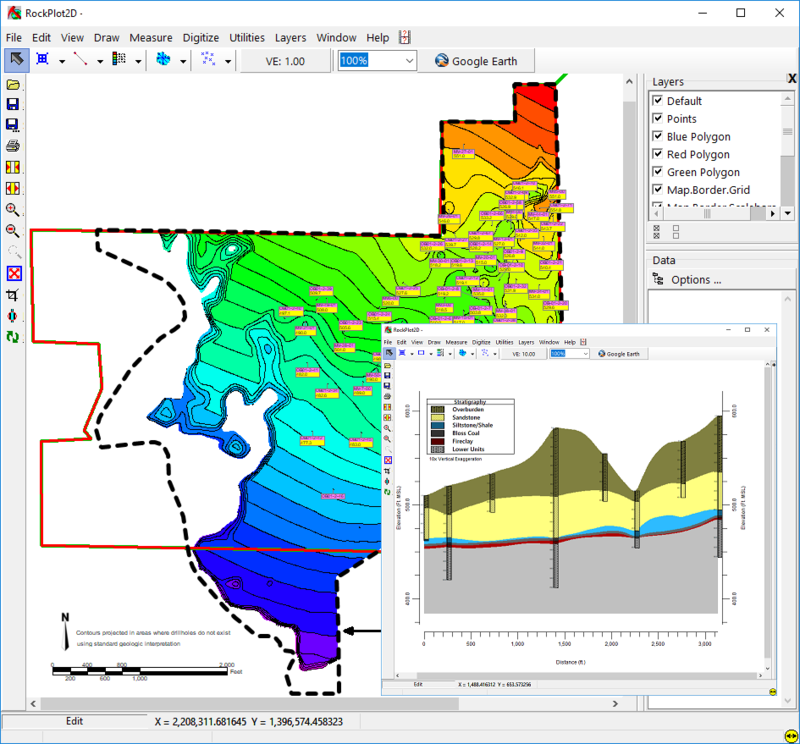 The stratigraphy model was used to create structural and isopach contour maps, as well as multiple cross-sections across the property. The property was broken up into polygons, and volume/mass estimates were made for each stratigraphic unit within each polygon. Final diagrams showing aerial photos were created for inclusion in a resource estimate report.